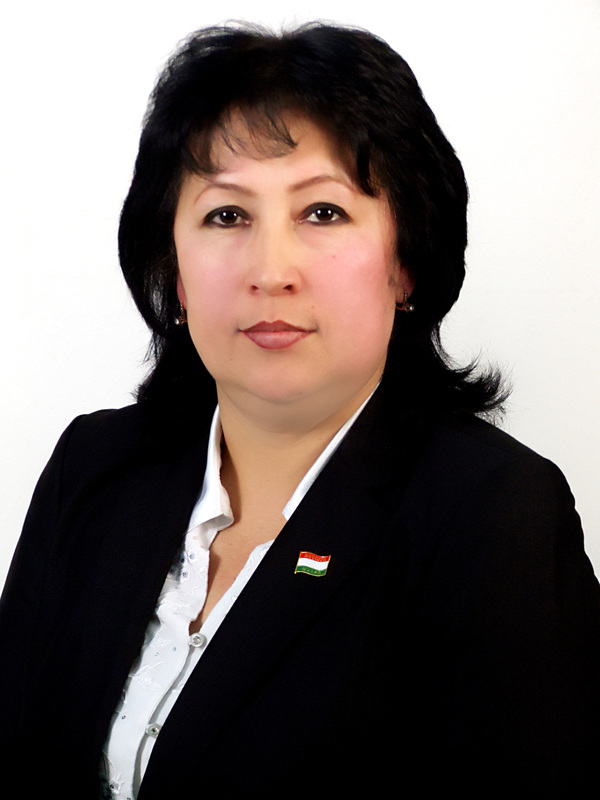 After the terrorist attack against foreign citizens committed on 29 July 2018 by the members of the terrorist-extremist organization Islamic renaissance party (TEO IRP) in the Danghara district of Tajikistan, the media began to throw articles of engaged Russian analysts, experts and journalists on this tragic occasion. Most authors of provocative articles, making make their PR on information aggression, lies and slander, zealously defend the members of the TEO IRP, accusing the law enforcement agencies, which disclosed this crime as soon as possible, of incompetence. Meanwhile, facts are a stubborn thing. And they convincingly testify to the contrary. 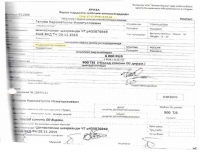 Thus, the leader of the criminal group, the main executor of terrorist act in Danghara district Abdusamadov Husein Abdusamadovich, being in labor migration in Odintsovo of Moscow region of the Russian Federation, was recruited in 2013 by fellow countryman, active member of the TEO IRP Ubaidov Nosirkhuja Ahtamovich nicknamed “Qori Nosir”. Brother of Abdusamadov H. — Bakhtiyor nicknamed “Mullah Umar”, was a member of the International terrorist organization Turkestan Islamic Movement of and was sentenced to 24 years in prison for committing crimes of a terrorist and extremist nature. During the interrogation, Abdusamadov H. confirmed that for 2014 – 2015 years, he took ideological and military-sabotage training in Kum city and in a training camp of Omul city in the oston of Mazandaran of Iran. After returning, in September 2015, as part of an armed group of the TEO IRP that attempted a coup d’état, he took part in hostilities against government forces (later was amnestied). Intending to avoid criminal liability, on 1 November 2015, he flew to Azerbaijan from Belarus, where he got by roundabout ways. From there, on 9 November of the same year, he flew to Iran, which is confirmed by the registration on the airlines. Printouts of his route can be easily found on the Internet and ask the natural question: why, after a failed coup d’état attempt, in order to hide Abdusamadov H. fled not to Russia, America, Europe, Africa, or, as a member of IS (also known as ISIL, ISIS, Daesh) to Afghanistan, where there are thousands of its fighters, but namely to Iran? If Abdusamadov H. was in IS, why did the vigilant Iranian security services opposing this organization allow him to cross freely and repeatedly the border, to move freely through Iran’s territory without detaining him? Using the common international database on terrorists, the intelligence services of the Islamic Republic of Iran knew that Abdusamadov H. was wanted, but kept silent. They could also be alarmed by the fact of staying of the members of the TEO IRP Abdusamadov H. and Ubaidov N.A. in the Moscow cities of Odintsovo and Podolsk, where the terrorist contingent engaged in recruiting work was concentrated with impunity. The customer of the brutal crime committed in Danghara was Ubaidov Nosirkhuja Ahtamovich, 1973 birth year, native of Farkhor district, an active member of the TEO IRP since 1992. He is wanted since 2012. In 2015, he was put on the wanted list by the Interpol. The criminal went in the footsteps of his father Ubaidov Saidahtam, 1930 birth year, an active member of the TEO IRP. The latter lived in Frunze village, Karl Marx collective farm, Farkhor district and was in charge of the warehouse. With arms in hand, he fought against the constitutional order, was involved in the murders of civilians and terrorist acts against members of the intelligentsia, as well as was engaged in robbery and marauding. His son, Ubaidov Nosirkhuja studied at the religious school of Hissor district under a member of the TEO IRP Mirzoev M.A. Simultaneously with his father, in the early 90′s, when there was still no question about IS, he joined the ranks of the TEO IRP, and later began to take revenge for his father. Ubaidov N.A. had close ties with the head of the combat wing of the TEO IRP “Jamaat Ansarullah” Tabarov Amriddin. From 2002 to 2006, Ubaidov N.A. lived in Iran, where he studied at religious institutions of Zahedan and Khash cities. He took sabotage training in training camps of Iran. Ubaidov N.A., being in Iran, actively engaged in recruiting youth from among the citizens of the Republic of Tajikistan, and sent them to study at religious institutions of the Islamic Republic of Iran. In 2011-2015 years, he was in suburbs of Moscow region of the Russian Federation (Odintsovo and Podolsk cities), where he continued to recruit labor migrants and students in the ranks of the TEO IRP. A criminal case has been filed in relation of him under the article 187 part 2 (participation in a criminal community). He participated in hostilities in the Middle East against the government forces. He has two wives, one of which, Sharifova M.T., who in 2004 studied at the madrasah “Madinat al-Yawm” in Iran. She is currently under arrest in Iraq. Ubaidov N.A directed the actions of the criminal group of Abdusamadov H., which committed the terrorist act, via “WhatsApp”, living nowhere else, but in the Iranian city of Khash. Other members of criminal group Majidov A.Y. and Safarov Z.D. from February to July 2018 were in labor migration in Russian city of Novosibirsk. 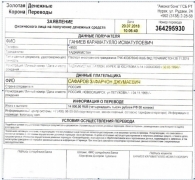 On July 17 and 20 this year, they sent remittances in the amount of 20,000 Russian rubles to the name of a member of the TEO IRP Ghaniev Karomatullo Ismatulloevich, who lives in Norak city and used these funds in preparation for committing a terrorist act against foreign tourists-cyclists. Ghaniev K.I. is currently under investigation. Russian experts should know that the IS, with which they are trying to link a terrorist act against foreign tourists — cyclists in Danghara, as an organized active force no longer exists, including, thanks to the actions of the Russian military. IS has left small and fragmented groups scattered across the Near and Middle East. The video messages on behalf of and under the flag of IS like a used video by group of Abdusamadov H., in order to propaganda and intimidate the said terrorist organization are no longer uses. This TEO IRP waving another’s flag — the IS black flag, hiding by it its next crime. There are cases when one terrorist organization (IS) takes responsibility for the terrorist act carried out by members of another organization (TEO IRP) in order to remind about themselves, to show their former strength and significance, to designate and geographically “expand” their area of influence. However, it is clear that the Iranian special services are currently use the IS brand as a tool, veil, cover for their own purposes, hiding under this “umbrella” the traces of the activity of the TEO IRP, which committed a brutal attack against foreign citizens and supported by the IRI ideologically, morally and materially. It is a serious concern that all of the above is silenced and deliberately distorted by the so-called “independent experts” who are trying to cover the tragedy that occurred in Tajikistan and took the lives of innocent people. But as it turns out, they are actually independent only of truth, objectivity, logic and common sense, and exist in the media space under the laws of self-interest and market relations. A. Dubnov (who has a personal relationship with Kabiri), V. Panfilova (whose husband, O. Panfilov actively supported the IRPT in the 90s), A. Serenko (chronicler and henchman of TEO IRP), A. Grozin, A. Knyazev and other characters, apparently, closely cooperate with representatives of the said terrorist-extremist organization. They parasitize on the Central Asian theme, they are ready to write about anything and how they want, without considering that a rashly thrown word can provoke misunderstanding in their own pack. Any expertise and research of any questions by a specialist (expert), requires him to have special knowledge in a certain area. Unfortunately, listed authors of the media do not own this. The terrible death of civilians has become for them only a convenient information reason once again to serve and please the owner-customers. The most dangerous and harmful is that they position themselves as Russian journalists, undeservedly appropriating the status of experts-analysts. They having received the information order, with excitement give out their point of view for the only correct one. Having at hand the Internet, and before the eyes of published official investigation materials, reports of the Interior Ministry on the fact of this crime, none of these so-called experts did not bother to think over the incident, compare the facts, pay attention to coincidences, check information, and spread “analytical brains”. What is it? Their professional incompetence, unprofessionalism or deliberate fraud, the construction of tendentious versions? Real, not fake experts should be able to draw the right conclusions from the minimum available information. Moreover, today in an open publication there is a huge amount of facts and evidences about the terrorist act and its executors, sufficient for this. So, why do named authors, who have no direct relation to Tajikistan, are negatively disposed to its secular social order, but selflessly defend radical Islamists, criminals of the TEO IRP? For what purpose do they stand on the side of Kabiri, seemingly alien to them on the mentality, views and creed? On what their sympathy is built for terrorists of the TEO IRP? Why was the protection of the interests of criminals who committed an inhuman act of violence more important to them than truth, security and stability? Why do they sympathize with extremists who want to come to power by any way, and to build a Shariah state? After all, namely the members of the TEO IRP have shown and show special intolerance, hostility, hatred to representatives of other nationalities and religions, as well as to foreigners. They provoked a hasty mass exodus of Russians and representatives of other nationalities of Tajikistan. This party has been a terrorist and extremist organization since its inception. The purpose of terror is to aggressively achieve the targeted goals, inflame the atmosphere, and destabilize the situation through violence and intimidation. Namely the members of the TEO IRP are involved in the targeted killing of dozens of Russians from among servicemen, journalists and civilians. Their victims were people of different nationalities living in the republic. On 13 July 1993, the fighters of the TEO IRP attacked the 12th Frontier Post of the Moscow Frontier Detachment of the Group of Russian Border Troops in the Republic of Tajikistan, killing 25 border guards. In the period from 1994 to 1998, it was proved that the members of the Islamist-Wahhabi party were involved in six facts of the killing of Russian servicemen in Dushanbe, Chkalovsk and Kurgan-Tube cities. In addition, 53 Kazakhstani servicemen who performed their duties in Tajikistan became victims of terrorist acts of the TEO IRP. Criminals of the TEO IRP brutally killed Russian journalist Viktor Nikulin at his workplace. The killed the best sons of Tajikistan from among the public figures and the intelligentsia such as I.Ishoqi, M.Ghulomov, M.Osimi, M.Nazarshoev, N.Huvaidulloev, and other progressive figures. The customers of these barbarous crimes are the Iranian special services. If Russian experts had studied the history of religion, and knew that the Tajiks in the majority are Sunnis, the Iranians — Shiites, then it would become clear to them that the customer of the crimes — the IRI special services easily instructed the executors from the TEO IRP to kill their co-religionists. All the victims were killed by Tajiks, who underwent special training in Iran. Just as today, after the terrorist act against foreign tourists, in the 90s the leadership of the TEO IRP, its Iranian patronages and patrons publicly expressed their hypocritical sorrow and condolences to the relatives of the victims of the terrorist acts organized by them. The writing community, covered up by “experts on Central Asia”, should be aware of the elementary, thousands of times tested umbrellas, the cover up of the world’s security services, their cunning, attempts to work under an alien flag. The flag of IS, as a false passports of other countries, which printed so successfully in the printing houses of the IRGC, the Ministry of Information of Iran and spread to many countries of the Middle East and Afghanistan — is a common, everyday craft of the ahunds usurpers of the power of the intellectual Iranian people. Do not they stay, the experts, to hide behind the stupidity for life, still with Soviet baggage, claiming to be truth seekers role? Young members of the TEO IRP, who fell for the bait of Iranian political congeners, having undergone sabotage training in training camps of Iran, continue the terrorist traditions of their predecessors. Therefore, the new terrorist act of the TEO IRP in Tajikistan, committed by it on the instruction of the Iranian special services, is a symptom of the fact that they are trying to repeat the bloody history of the 90s. And the society needs to be united, ready to effectively and timely prevent a possible escalation of terrorist aggression. The above-noted should be information for reflection for Russian experts, and the reason to reconsider their mistaken point of view.